Acute3D has released two new versions of Smart3DCapture. It’s now integrated with Sketchfab which makes it easier than ever to capture objects and instantly share them in full 3D with your friends or clients. Smart3DCapture is a software solution that produces high resolution 3D models from a series of photographs, using just a regular camera. You may have even used them before without knowing it – the tech that’s at the heart of Smart3DCapture also powers Autodesk’s hugely popular 123D Catch service! With these new editions, we target consumers and independent professionals, for which easily publishing and sharing the produced 3D models on the web plays an important role. 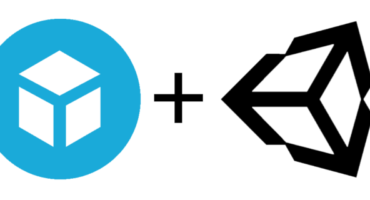 We immediately realized that the connection with Sketchfab, the most intuitive and most popular 3D sharing platform in the market, was the ideal solution. Our collaboration with the Sketchfab team was fruitful: starting with version 3.1 of Smart3DCapture, our users can directly publish their 3D models to Sketchfab, thus providing a complete workflow to produce and share high resolution 3D models in just a few clicks! 1. Take a good set of photos. 2. Let Smart3DCapture run the data and reconstruct the 3D scene. 5. Enjoy your model on Sketchfab and share it! Hi, thank you for the tutorial. But I have contextcapture and that option doesnt appear.